As the prices of Smartphones come down, the growth chart of mobile games reaches new heights. The industry is not just growing, but breaking new records year after year. The use of mobile has already left the conventional screens far behind, and experts predict a further increase in the pace. As mobile companies look for offering more advanced features to the buyers so that they get good value for money, it becomes a daunting task for mobile app developers to keep pace with the progress. Developing gaming app is not an easy thing and incorporating the advanced features is further difficult. However, with skilled developers, gaming companies reach new heights year after year. The whole story of gaming started in the late nineties when Nokia introduced the all-time favorite game ‘Snake’. It was not an independent game but was part of the phone feature. It was quite easy to play and highly addictive. Times have changed, and you have the whole world of interesting, interactive and intelligent games that are so real that you forget the differentiating line between the virtual and real worlds. Loads of games are there in the app stores and downloading the same becomes a daily affair. It requires browsing the app stores category wise. You can download the app if it is free or can buy it if it is chargeable. It took some time to get momentum after the launch of Snake. In 1999, the first commercial mobile game was launched, and the industry has not looked back since then. Today, it is one of the most flourishing industries. With the launch of App Store, there was a revolution in the field. Later the popularity of Android took it to further heights. Today, we have games that offer unbelievable creativity and mind-boggling innovation. Everyday there is a new game getting introduced with new specialties and advanced features. Since technology has no limits, game developers will continue to make use of it so that they can lure and amaze the users always. 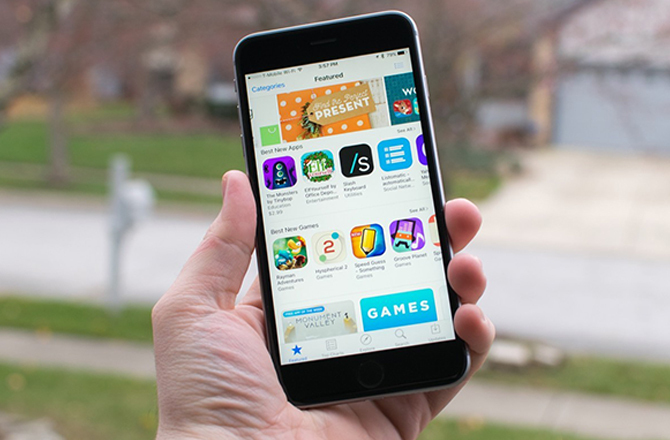 It is a fact that the innovation in mobile features and mobile games go hand in hand. When new thing get added to the phone, gaming programs make use of it. When there were keypads, games used keys to navigate. As the touch screens emerged, games became smarter. They used screen coordinates to decide action and reaction. In the year 2003, a game was developed that used the camera feature of the handset to play a fighting game between two mobile users. Similarly, another game created a virtual pet by using camera features. With the further advanced GPS and location tracking features coming in, we have highly advanced virtual reality based games such as Pokémon. Though there has been a lot of criticism about the ill-effects of mobile gaming, the industry seems to grow manifold. Games become part and partial of our life, and it is simply impossible to avoid the addiction. Technology plays a key role in the gaming business. With the time, the mobile configuration has improved drastically. Memory and processing speed of today’s handset is much higher than earlier ones. It is needless to say that the mobile gaming of today is highly power hungry. Nowadays if you download a game that needs more than the processing capabilities of your phone, there is very much possibility that it will hang repeatedly. In some games, installation process doesn’t happen if the configuration is not as per the minimum requirement. Thus, it is an unending loop. You buy a mobile of higher configuration to download the state-of-the-art game, but very soon the game goes beyond the capacities of the mobile. The frustration of not being able to download or play advanced games leads to discarding the phone and buying a new one much before the phone actually gets outdated. It is not a good situation indeed. Gone are the days when mobile games were offline. Today all advanced games need the Internet connectivity. Modern, sophisticated phones keep location updated, and they remain connected to the mobile Internet. Not only it helps in fetching live updates, but also makes the in-app purchase possible. There are sponsored ads that make the games affordable and interesting. With the release of iPhone in 2007, another dimension gets added to the gaming world. Online games become a buzzword today, and it expands at a great speed. The emergence of new technologies and high-end mobile phones bring new, advanced and sophisticated versions of games are emerging every year. Mobile gambling is a niche that gains popularity very fast. More and more players join it every year, and revenue graph reaches new heights. Mobile game developers target mobile gamblers exclusively because it is a promising market. What is there in the future? Mobile games will expect high connectivity in the coming years. It will become possible because of high-speed internet networks coming in. New mobile phones will have a higher configuration. Hence, they will be able to make use of the high bandwidth successfully. Reality games (e.g. Pokémon Go) will gain further popularity. Though the initial spike has come down for it, experts feel that emergence of new games will give it a big thrust again. The transformation in gaming arena has been incredible in the past two decades. No doubt, it will grow with a further speed tomorrow. With the development in the fields of Virtual reality and augmented reality, unbelievable change can be expected for sure. These are speculations and expectations that may or may not become a reality. Nevertheless, it is guaranteed that the changed scenario will be more exciting and overwhelming. New generation gamers are fond of gaming, and they want to experiment new things. Hence, creativity and innovation will always lead the development market. It will be added by advancement in technology and improvement in the mobile configuration.